Hello! No Ten Things this week I’m afraid. One word, which I’m sure you can relate to – LIFE! In its place, I have written an article for Friends of the Earth this week on how to go (almost) plastic-free in the kitchen, which you can find right this way. It’s full of practical and realistic advice on going plastic-free, which I’m sure you will find useful. I say almost plastic-free, because I personally don’t think it’s environmentally friendly or financially prudent to simply throw out all the of the perfectly good and perfectly functioning plastic items in your kitchen, to then go and buy new plastic-free products to replace them. 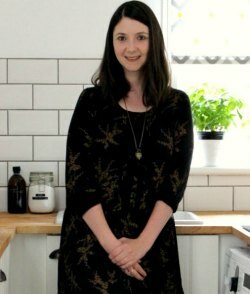 My very best plastic-free advice is, therefore, to start slow and small and simply replace what breaks or runs out as you go, but do check out the whole article! 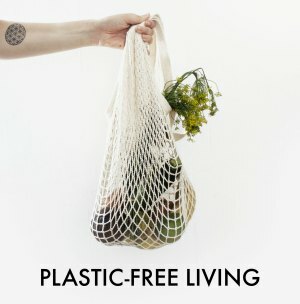 I’ve also collaborated with Friends of the Earth on a plastic-free in the kitchen Pinterest board, to act as a useful resource. If you have any pins to add to it then do let me know! Hello! In an ongoing quest to try and reduce my plastic usage let’s talk plastic-free dishwasher detergent. 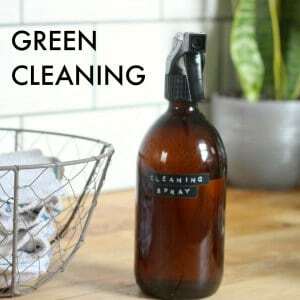 In Fresh Clean Home I show you how I make 95% of my own cleaning products. This saves on so much plastic. The other 5%? Dishwasher detergent and washing up liquid. Both have eluded me. Dishwasher detergent in particular. After trying countless formulations and re-formulations, nothing cut the mustard. Everything I tried either left a white film on all of our dishes, or a greasy film. Sometimes, it even left the double-whammy – a white greasy film. The worst. The homemade dishwasher powder experimentation era in our house was a grim time. I sat down and did some extensive research to see where I was going wrong and discovered that pretty much all commercial dishwasher tablets and powders, even eco-friendly brands, contain an ingredient called sodium silicate powder. Sodium silicate rinses away food and soap deposits and is completely soluble in water. As a result, dishes always come out clean and streak-free. Great, you’re thinking, just add sodium silicate powder to the ingredients of your homemade powder. It’s not that simple I’m afraid. Sodium silicate powder is only available commercially. Its sale is very heavily restricted. One supplier of sodium silicate powder says “we have a duty to control the supply of these chemicals and any private individual attempting to purchase these chemicals may have their details passed to the police in their area“. Eco-friendlier shop-bought dishwasher detergent/tablets it is then. The pursuit of homemade dishwasher powder is simply not worth the very real threat of getting listed as a suspected terrorist! 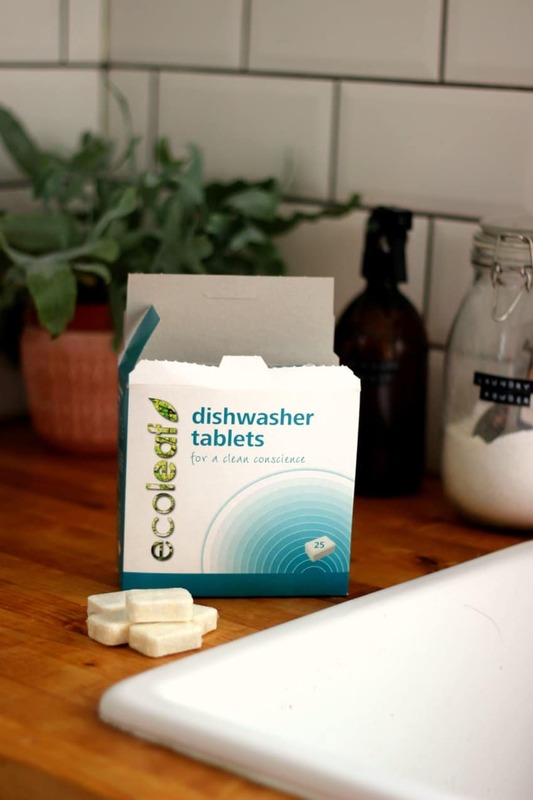 Ecoleaf Dishwasher Tablets (£12.85 for 70*; or £4.99 for 25*) are the only eco-friendlier AND plastic-free dishwasher detergent/tablet I’ve come across. Made from plant-derived ingredients, the dishwasher tablets are free of phosphates, SLS, SLES, parabens, triclosan and synthetic fragrances. They are also certified cruelty-free and vegan-friendly. The one downside is that they do contain palm oil, but as in all aspects of ethical living, it is practically impossible to find a product that is 100% perfect in every way. 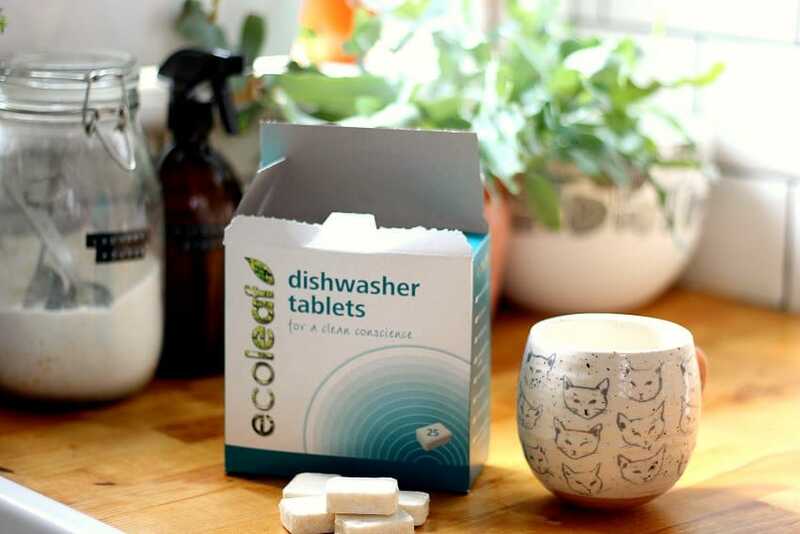 Each tablet is wrapped in a water soluble wrapper, that dissolves as your dishwasher starts running. I initially worried that this wrapper might break down into something bad for the environment, or contribute towards microplastic, but Grist says no – it breaks down to carbon dioxide and water. The dishwasher tablets are designed to leave your dishes sparkling clean, with a built-in rinse-aid, degreasing agents and powerful cleaning action. 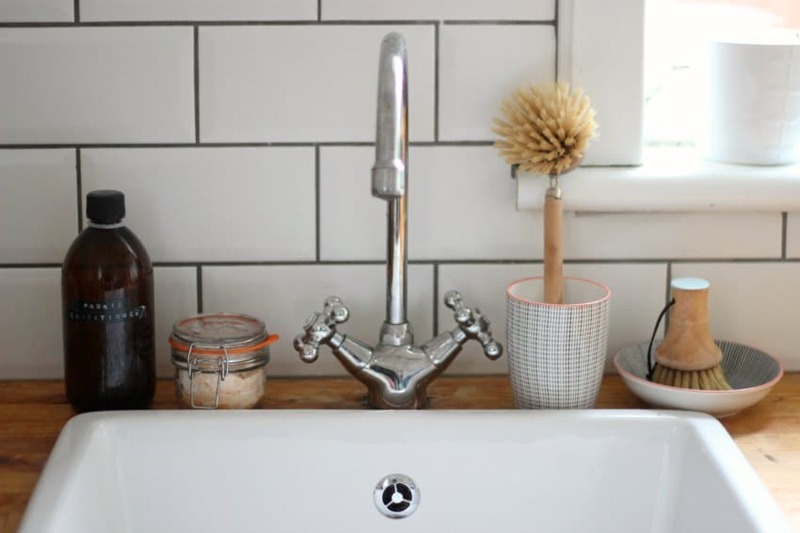 I’ve been using them in our soft water area and I concur – I have found that they perform great on our dirty dishes and glassware, and I’ve had no issues with their cleaning ability. If Ecoleaf isn’t for you then the only other option I can find is by Faith in Nature. Here you can purchase a 5-litre pack of dishwasher gel for £38*. Although in a plastic carton, this is enough for up to 300 washes, which is an eco-friendlier low plastic option if you can afford to shop in bulk like this. It is worth noting that this dishwasher gel also contains palm oil. While searching for plastic-free dishwasher detergent I also came across Ecover Dishwasher Powder on Amazon, which is sold in a plastic-free recycled cardboard box. It’s currently unavailable in the UK but is seemingly widely available in the United States. When I checked on Ecover’s UK website it wasn’t listed as an available product. Hence I did the decent thing and dropped Ecover an email enquiring if this was available to purchase anywhere in the UK. Ecover responded with “At present, we do not have the dish-powder available to purchase in the UK. I believe the reason is due to popularity. We do collate customers interest in our products so I’ll certainly pass this on. Hopefully, the more people who become interested in this product the more widely available it will be. Thank you for taking an interest in our products. Best Regards, Kay“. 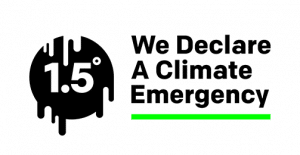 Here’s Ecover’s Twitter handle – @ecoverUK – and here’s their email address – hello@ecover.com – so, if this is something you would like to purchase in the UK then you know what to do! 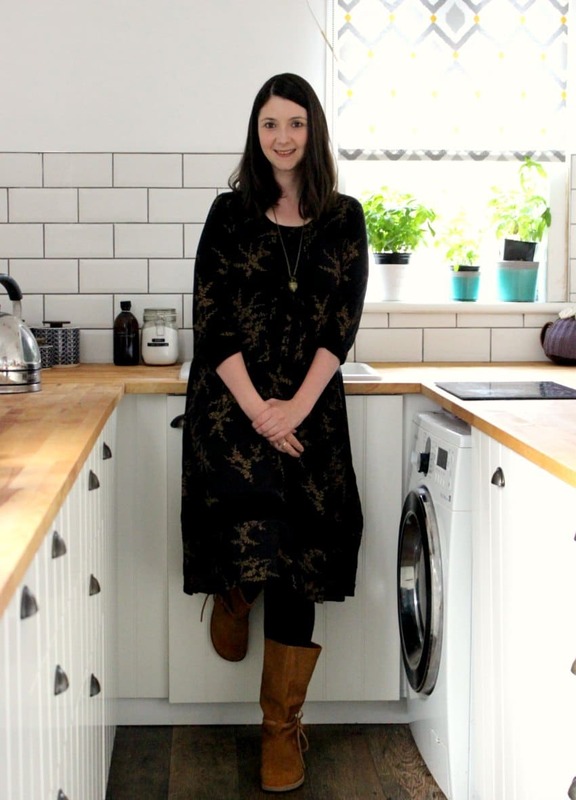 Have you found any other plastic-free dishwasher detergents? Or have you been able to make your own dishwasher detergent successfully, without the horrible white and/or greasy films? If so, you have my eternal respect! Let me know in the comments below!